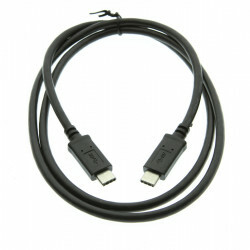 First Generation USB-C Cable, this USB 3.1 C-Type connector cable (USB-C), is the first generation of C Male to C Male cables that will support USB 3.0 data transfer speeds of 5Gbps. 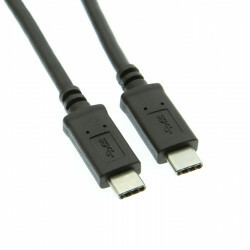 Compatible with USB Low Speed (1.5Mbps), Full Speed (12Mbps), and High Speed USB (480Mbps). 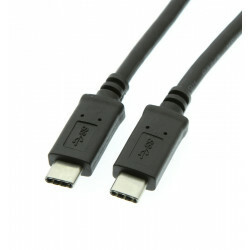 Impressive durability at up to 10,000 connect and disconnect cycles. 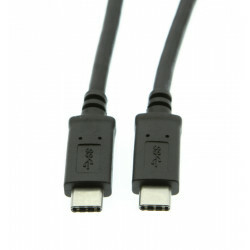 Can be used with mobile devices, laptops, and tables supporting Type-C port connections. Reversible plug orientation - Power and Ground will be correct regardless of orientation. Capable of 5 Gbps Data Transfer supporting Super High Speed transmission.